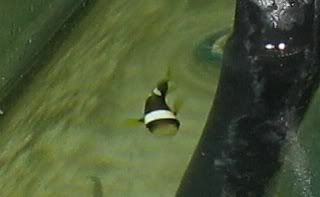 Clownfish lay eggs on a solid surface and guard and fan them until they hatch. 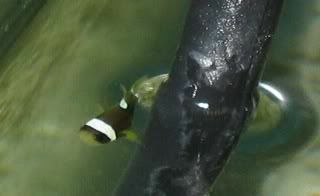 Nest care is mostly the role of the male clownfish, although the female may take a turn now and then. The picture below is of orange eggs freshly laid on a curved rock surface. 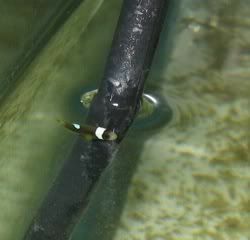 11/18/2010 After many years of raising clownfish in my spare time, I have to say, it is still a fun activity for me. I never tire of seeing the little live swimmers in my tank when they first hatch, seeing their full bellies after their first good meal, watching them learn to hunt rotifers, watching them grow, seeing the first white bands form on their little heads. Will it ever stop being fascinating? Gotta run now! Gotta go see if the eggs hatched!